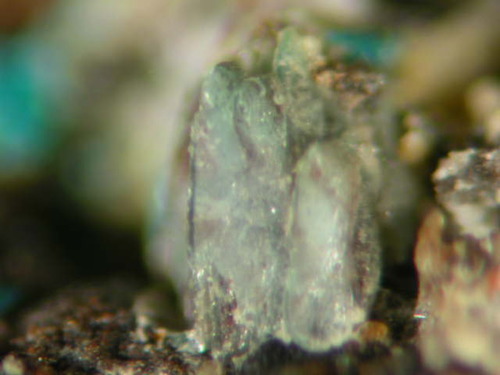 Ahlfeldite: Mineral information, data and localities. 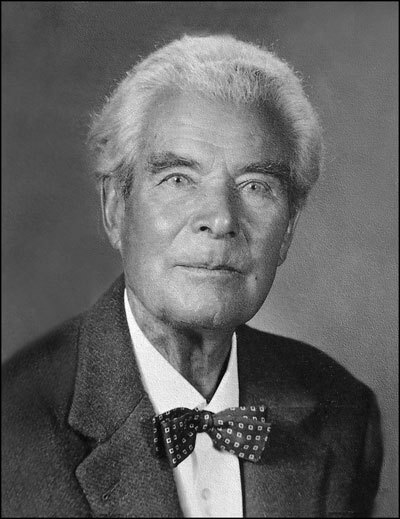 Named in honor of Friedrich Ahlfeld ( 6 October 1892, Marburg, German Empire - 9 January 1982, Cochabamba, Bolivia), German-Bolivian mining engineer and geologist, known as the "Father of Bolivian Geology." He built several important collections of Bolivian minerals. This page provides mineralogical data about Ahlfeldite. Becomes more pink with increasing cobalt content. Chalcomenite 3 photos of Ahlfeldite associated with Chalcomenite on mindat.org. Molybdomenite 2 photos of Ahlfeldite associated with Molybdomenite on mindat.org. Anglesite 1 photo of Ahlfeldite associated with Anglesite on mindat.org. Krut'aite 1 photo of Ahlfeldite associated with Krut'aite on mindat.org. 4.JH.10 Clinochalcomenite CuSeO3 · 2H2O Mon. 4.JH.10 Cobaltomenite CoSeO3 · 2H2O Mon. 4.JH.20 Orlandiite Pb3(SeO3)(Cl,OH)4 · H2O Tric. 34.2.3.1 Clinochalcomenite CuSeO3 · 2H2O Mon. 34.2.3.2 Cobaltomenite CoSeO3 · 2H2O Mon. 28.1.2 Clinochalcomenite CuSeO3 · 2H2O Mon. 28.1.6 Haynesite (UO2)3(OH)2(SeO3)2 · 5H2O Orth. 28.1.8 Marthozite Cu2+(UO2)3(SeO3)2O2 · 8H2O Orth. 28.1.10 Demesmaekerite Pb2Cu5(UO2)2(SeO3)6(OH)6 · 2H2O Tric. 28.1.12 Cobaltomenite CoSeO3 · 2H2O Mon. Herzenberg, R., Ahlfeld, F. (1935) Blockit, ein neues Selenerz aus Bolivien. 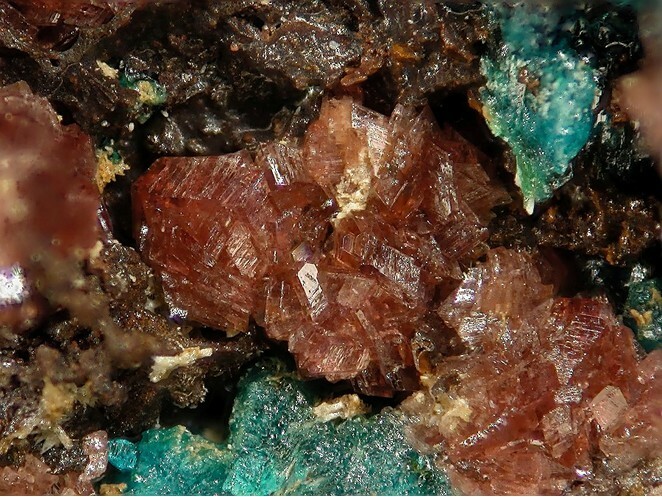 Zentralblatt Mineralien, Abteilung A: 6: 277-279. Herzenberg, R. (1945) Inst. Boliviano de Ing. De Minas y Geol., Publ. Técu, La Paz, no. 5. Herzenberg, R. (1945) Mineria Boliviana: 2: no. 25. Palache, C., Berman, H., Frondel, C. (1951) The System of Mineralogy of James Dwight Dana and Edward Salisbury Dana, Yale University 1837-1892, Volume II. John Wiley and Sons, Inc., New York, 7th edition, revised and enlarged, 1124 pp. : 635. Fleischer, M. (1963) New mineral names. American Mineralogist: 48: 1183. Aristarain, L.F., Hurlbut, C.S. (1969) Ahlfeldite from Pacacake Bolivia; A restudy. American Mineralogist: 54: 448-456. Sturman, B.D., Mandarino, J.A. (1974) The ahlfeldite-cobaltomenite series. The Canadian Mineralogist: 12: 304-307. Wildner, M. (1990) Crystal structure refinements of synthetic cobaltomenite (CoSeO3·2H2O) and ahlfeldite (NiSeO3·2H2O). Neues Jahrbuch für Mineralogie, Monatshefte: 1990: 353-362. Boletín Facultad de cienncias exactus, físicas y naturals, Universidad nacional de Córdoba: 7: 1-4. Charykova, M.V., Krivovichev, V.G., Lelet, M.I., Yakovenko, O.S., Suleimanov, E.V., Depmeier, W., Semenova, V.V., Zorina, M.L. (2014) A calorimetric and thermodynamic investigation of the synthetic analogs of cobaltomenite, CoSeO3·2H2O, and ahlfeldite, NiSeO3·2H2O. American Mineralogist: 99: 742-748. Herzenberg (1935) Zentralbl. Min., Abt. A: 189 & 279. Palache, C., Berman, H., & Frondel, C. (1951) The System of Mineralogy of James Dwight Dana and Edward Salisbury Dana, Yale University 1837-1892, Volume II: 635. Petrov, A., Smith, B., Smith, C. (2001) A Guide to Mineral Localities in Bolivia. 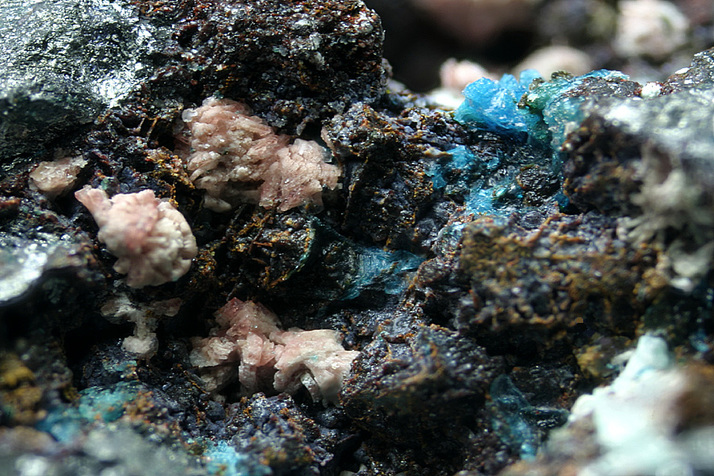 Mineralogical Record Vol.32(6), pp. 457-482. Hurlbut, C.S., Aristarain, L.F. (1969) Olsacherite Pb₂(SeO₄)(SO₄), A New Mineral from Bolivia. The American Mineralogist. Vol.5, November-December, pp. 1519-1527.